Despite being quite dead, Sam Houston is still a pretty popular guy in Texas. 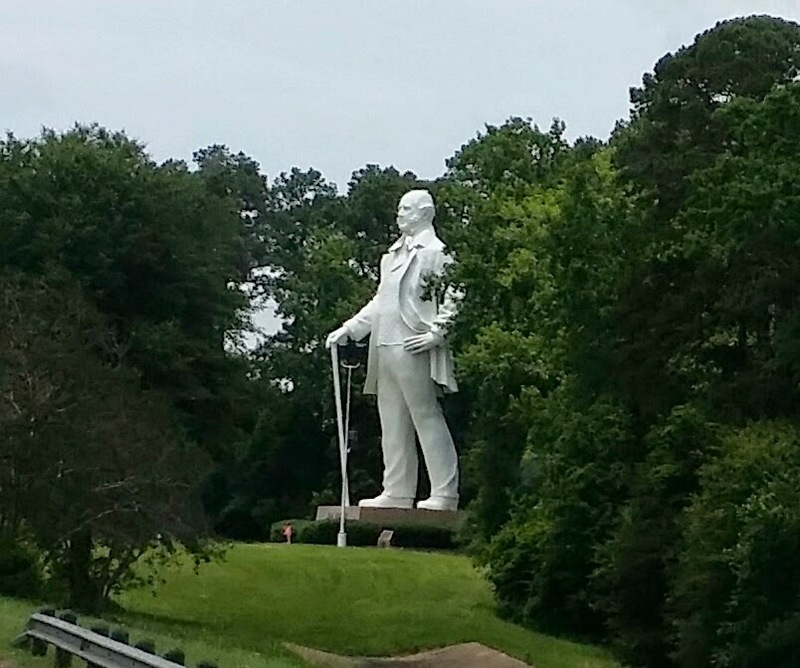 I'm always surprised by the number of people who stop and take pictures of this statue on I-45 -- unlike me, who shoots at 70 miles per hour through truck windows coated in road grime and splattered bugs. There aren't too many attractions honoring people that might tempt me to park and get out of the truck. But stopping just a mile up the road to gaze at Old Sparky and an acre of homemade shivs and other gruesome artifacts from Texas Prisons: http://www.txprisonmuseum.org/ is on my bucket list.